Provisions storeships or "reefers" had refrigerated holds with which to carry fresh food to advanced bases. Those owned by the U.S. Navy were designed to carry both dry and fresh foodstuffs and support "optional discharge" loading, where the items were stored in such a way that ships could be resupplied with whatever items they needed. 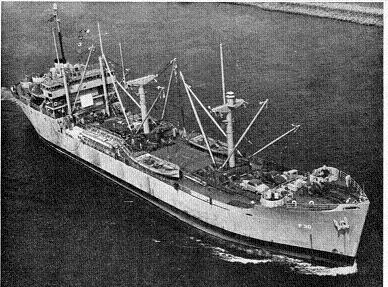 However, most of the Navy's "reefers" were in the Atlantic, and the Pacific Fleet was forced to charter large numbers of Maritime Commission "reefers", mostly R2 class refrigerator ships. These lacked the internal arrangement and hatches required for "optional discharge", and had to unload their "solid pack" cargo into a shore warehouse for further distribution to the Fleet. British refrigerator ships were designed for high speed, and many were converted to troop transports in 1940. This helped to contribute to the food crisis of 1940-1941, when Britain came closest to being starved out.